A Democratic-led push to expand healthcare coverage by allowing almost anyone to buy into Medicaid is gaining ground in New Mexico amid Republican efforts in Washington to dismantle Obamacare. The state Legislature is considering initial studies and steps toward opening up access to Medicaid services through a fee to individuals and possibly employers. The concept involves redirecting federal subsidies for coverage in the marketplaces created under former President Barack Obama's healthcare law to a new category of Medicaid, the program for the poor. It has the backing of a coalition of local public health advocacy groups. "I think the Republicans in Congress found out when they tried to repeal and totally do away with Obamacare that Americans want a strong public option in their lives for healthcare," said state Sen. Gerald Ortiz y Pino, a sponsor of legislative efforts that call for a study of the costs and benefits of a buy-in plan. Decisions would be left until at least next year, after Republican Gov. Susana Martinez leaves office. Proposed federal legislation eventually could allow states like New Mexico to avoid lengthy approvals if they move forward — though none has. Nevada Gov. Brian Sandoval, a Republican, vetoed a bill last year that would have opened that state's Medicaid program to all residents. In New Mexico, Rep. Deborah Armstrong says the buy-in concept needs to be explored as an avenue for more affordable healthcare, while nearly one in 10 residents live without insurance. She acknowledged that premiums offered through the state's competitive exchange are relatively low compared with other states. "It's still expensive — too expensive — for many of the families in New Mexico, being one of the poorest states in the country," said Armstrong, who also is director of New Mexico's high-risk insurance pool for patients with intensive medical needs. Armstrong called New Mexico "an ideal state for contemplating these reforms," describing its Medicaid program that contracts with managed care organizations. The ranks of the uninsured have been cut in half since the Martinez administration expanded Medicaid eligibility in 2014 to cover individuals with annual incomes slightly above the federal poverty line. Linda Blumberg, a senior fellow in the Health Policy Center at the Urban Institute, an economic and social policy research organization, said it was unclear how managed care organizations or the state would be able to negotiate lower provider rates to doctors, hospitals and clinics through a Medicaid buy-in program. "New Mexico's (marketplace) premiums are not terribly high, they're relatively low compared to rest of the country," she said. "I'm not completely sure what they would gain here frankly." 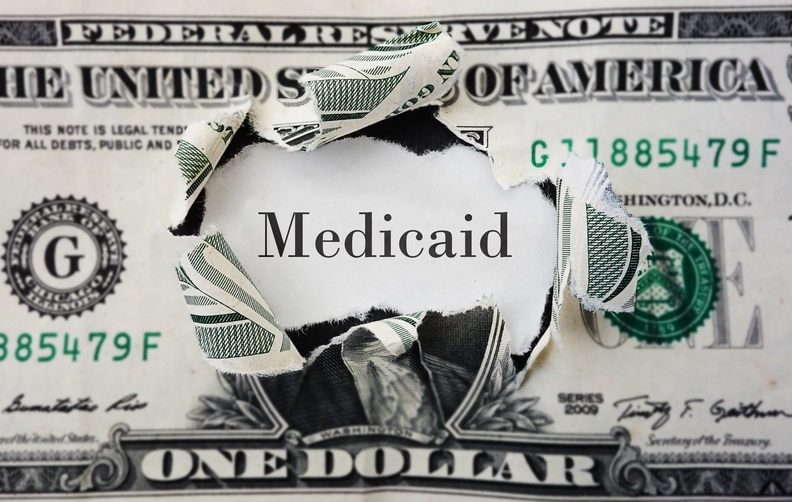 Medicaid buy-in programs are likely to involve some new financial risk for states or managed care companies if premiums and fees fail to cover expenses, while overcollecting defeats efforts at affordability, Blumberg and other analysts say. Officials at the University of New Mexico Health Sciences Center have told lawmakers that a buy-in plan is worth studying, noting that even prices in federally subsidized marketplaces are likely to rise as the U.S. government does away with penalties for those who go without insurance.